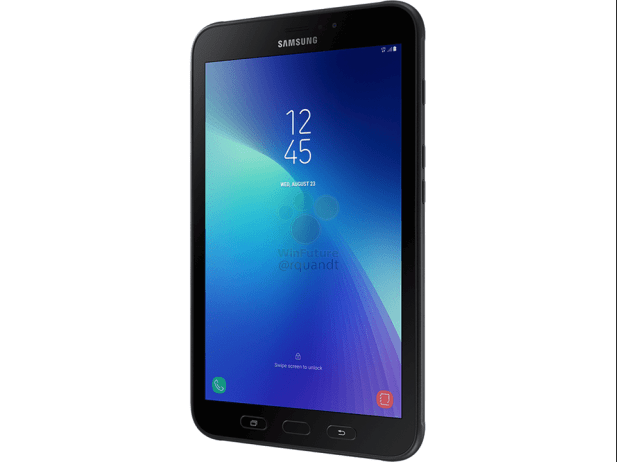 Tablets are a dying market these days, but Samsung is still churning a bunch of models out. 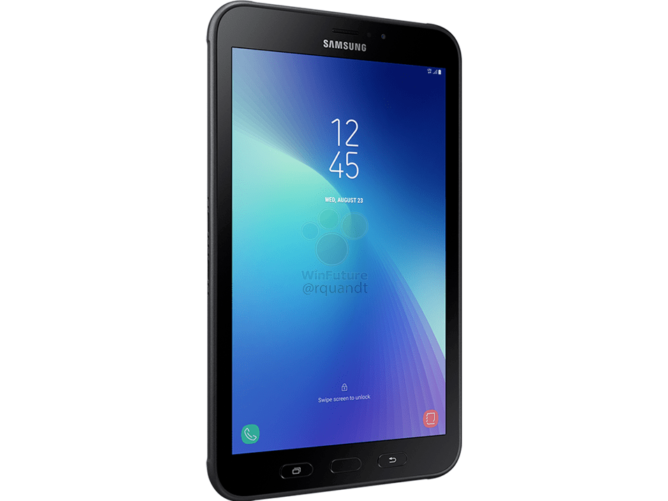 The company's next tablet will likely be the Galaxy Tab Active 2, and while it's not exactly a spec monster, it has some interesting features that will make using it outdoors a little bit easier. 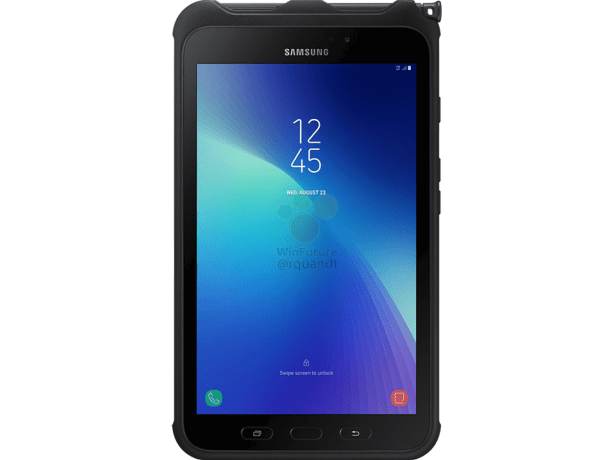 The rugged tablet, which is codenamed SM-T390/SM-T395, is being aimed at corporate customers. On the outside, it looks almost identical to the first-generation Galaxy Tab Active, save for a different home button design, a now-black earpiece, a different home button design, and more rounded corners. 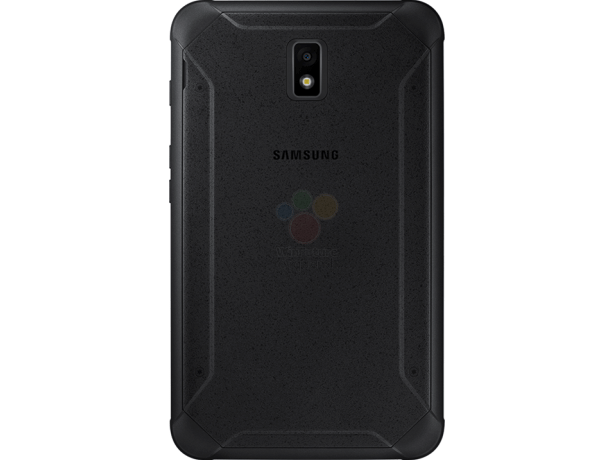 Specs include an 8.0" 1280x800 TFT display, an octa-core Exynos 7880 clocked at 1.6GHz, 3GB of RAM, 16GB of storage with microSD expansion, a rear-facing 8MP camera (with autofocus! ), a 5MP front-facing camera, and a removable 4450mAh battery (a rarity these days). It'll run Android 7.1 Nougat with TouchWiz Samsung's skin on top - that means Bixby is included. 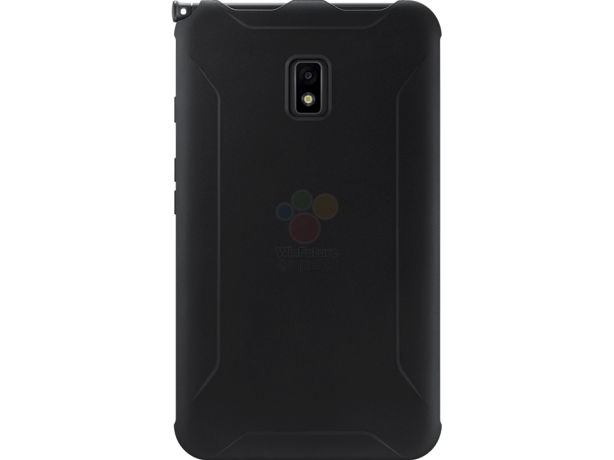 Noteworthy features include a maximum brightness of 480 nits (for reference, the Pixel XL's screen gets up to 393 nits), IP68 water and dust resistance, an S Pen, a USB Type-C 2.0 port, dual-band gigabit WLAN (read: 802.11ac WiFi), NFC, Bluetooth 4.2, and GPS. A fingerprint sensor is built into the home button, and you can unlock the tablet with face recognition. Also on board are a notification LED, a geomagnetic sensor, and a gyroscope. And lastly, there are external POGO pins for accessories like barcode readers. There will be both WiFi and LTE models available, but neither will be cheap at between 500 and 600 euros, depending on the variant. Aside from exact pricing and availability, there's not much we don't know about the Tab Active 2. 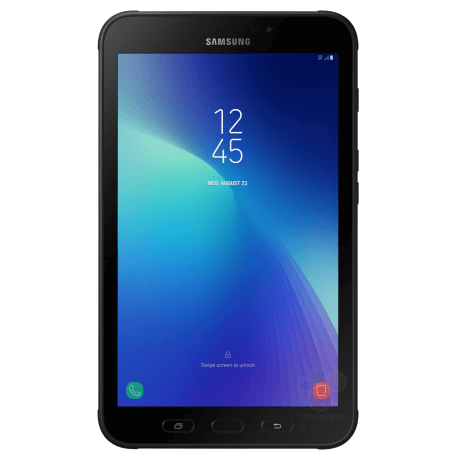 The Galaxy Tab Active 2 is now available in the Netherlands at 500 euros. 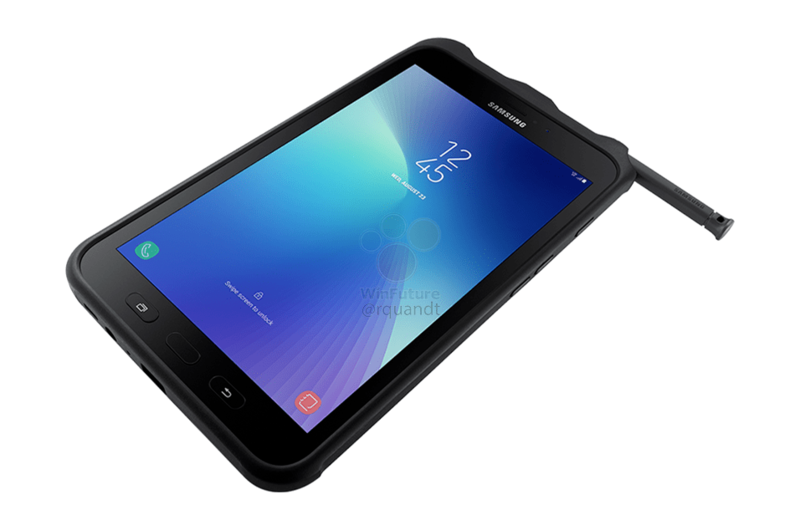 It also features MIL-STD 810G certification and a high-sensitivity mode for using the display with gloves on. 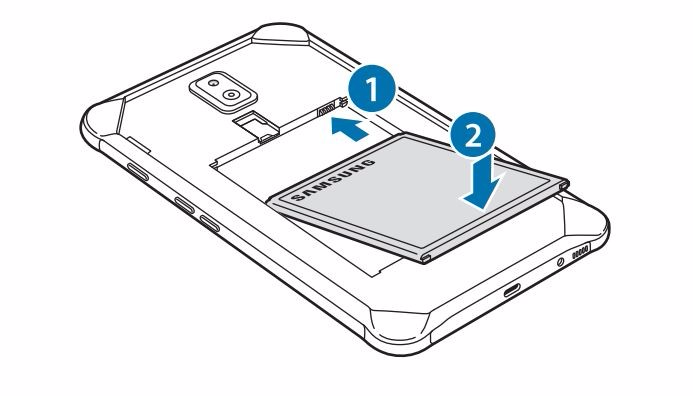 Interestingly, the removable battery can reportedly charge other devices. Thanks to Android Fanboy in the comments section for pointing this out.